We sell a select range of beauty products that complement the treatments we carry out. We don't do hard sell and we promise that you'll only leave with the products you need and which will work for you. We stock a full range of Lauren's Way tanning creams, as well as preparatory products such as smoothie oil, body moisturisers, exfoliators, and similar. 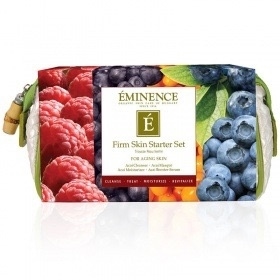 We are one, of only a few endorsed, Eminence Organic skincare providers, meaning that we have attended master classes, are fully up to date with all innovations and can asses what is right for you. We will only ever recommend what you need and often this will be trialled first in the form of samples and come and try days. We offer gift packs and gift vouchers the latter can be exchanged for the full range of our beauty products and/or treatments. Just call us or pop in anytime to check out what's new in Emma's Room.